Roesner Pty Ltd celebrates 10,000 Marshall Multispread Units! 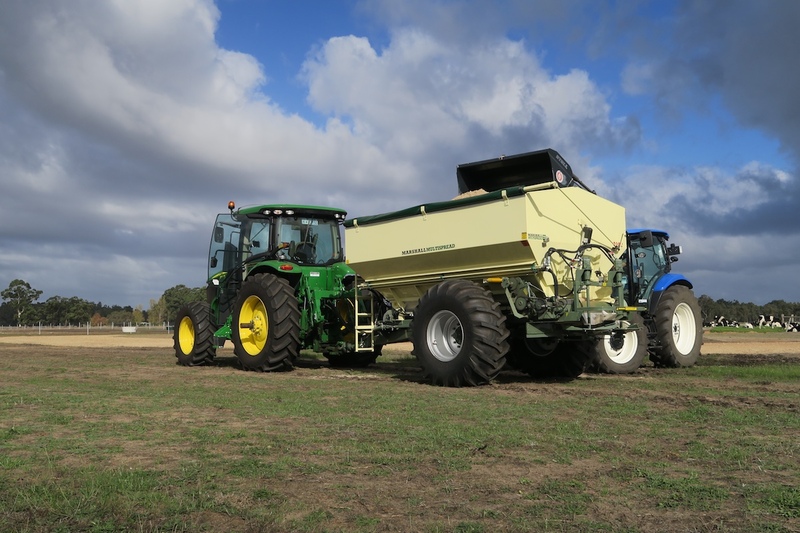 Roesner Pty Ltd, the Western Australian based Agricultural Equipment manufacturer, recently celebrated the manufacture of the 10,000th Marshall Multispread spreader. The Marshall Multispread product range was first launched in 1983, at the time it was the first Australian built machine that could handle both granulated and non-granulated fertilisers. Renowned for its build quality, low maintenance and versatility, the Marshall Multispread quickly became a market respected brand with production numbers growing rapidly during the 1980s and 1990’s as the use of lime and gypsum for soil amelioration increased. Since the Year 2000, sales have continued to grow as the Multispread design has evolved to suit changes in practices including Variable Rate Fertiliser applications and Controlled Traffic Farming. Annual production from the Harvey factory now averages around 250 units, with machines sold across Australia in all forms of Agriculture. As an Australian based manufacturer in a time when imported Agricultural equipment is increasingly the norm, Roesners is proud to have built the 10,000th Multispread unit and remains focused on the customers that continue to be loyal to the Marshall brand through customer support and new innovations.